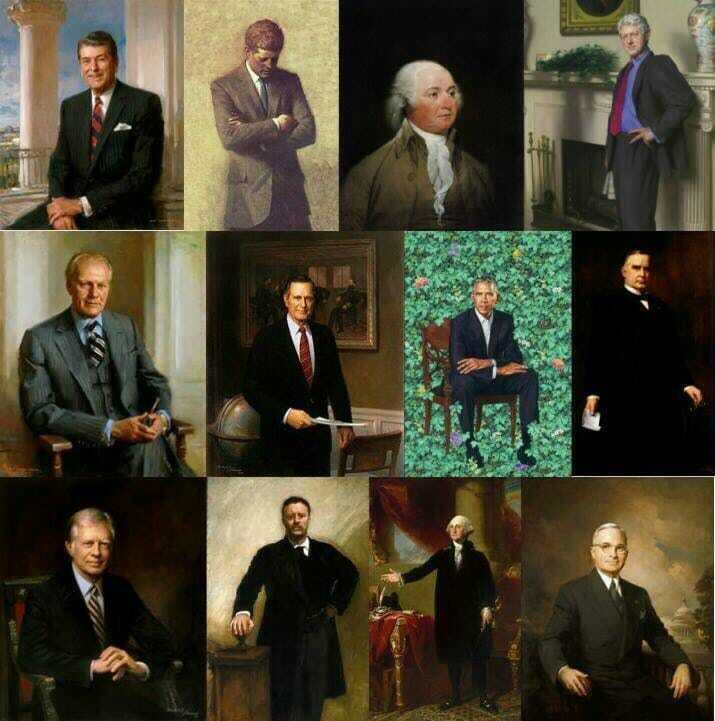 Which official presidential portrait seems a bit off? 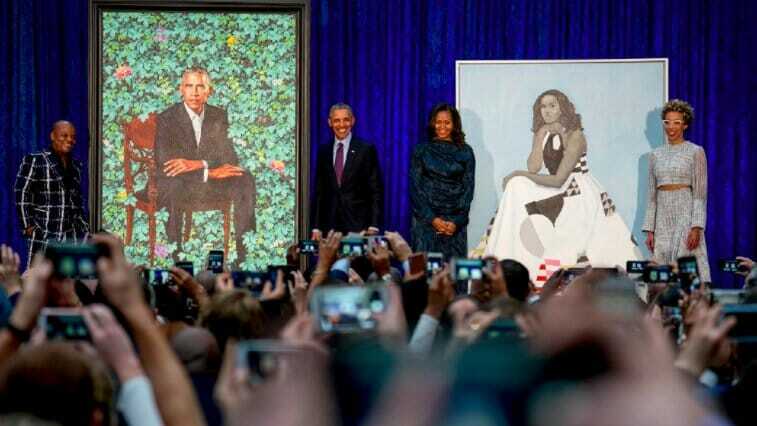 Barack Obama unveiled his official portrait on Monday for the White House Portrait Gallery. It was his final disgrace. 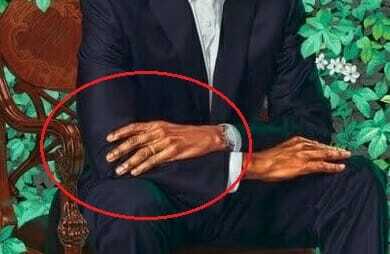 After years of failed policies and anti-American speeches it should come as no surprise that this would be his farewell to the White House. 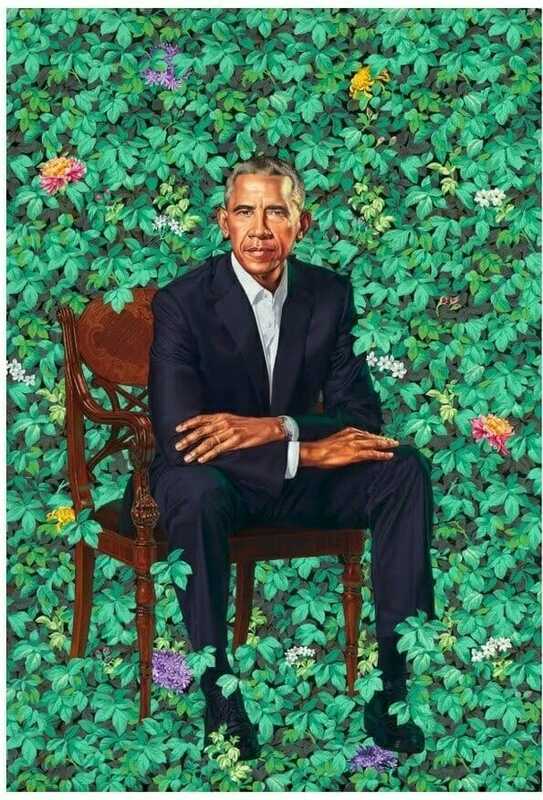 Aside from the fact that Obama is sitting in a field of leaves, something else is a bit odd with this painting…Obama has six fingers on his left hand.